The Micro Cluster Cabins are located in at the mouth of the Oslo fjord in the region of Vestfold in Norway. 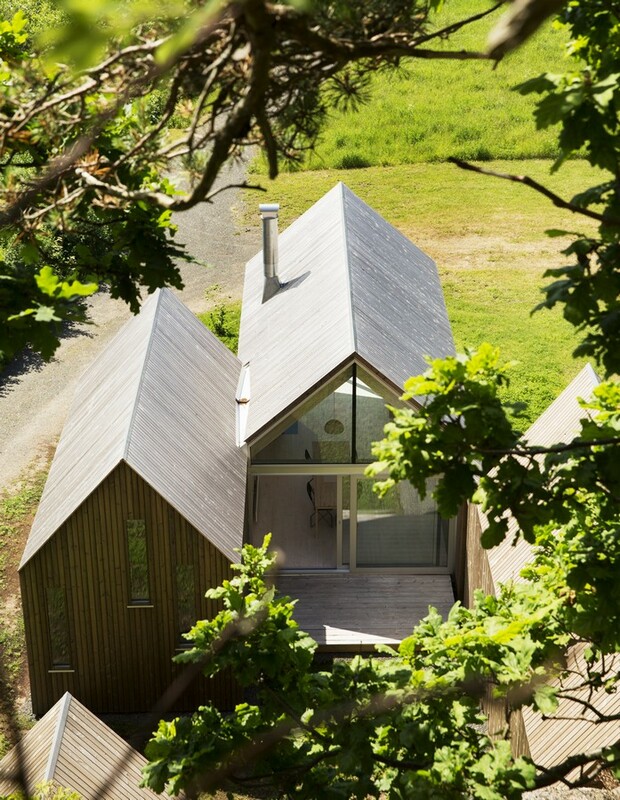 A cluster of pitched-roof volumes sit at the edge of an idyllic meadow in a large clearing. 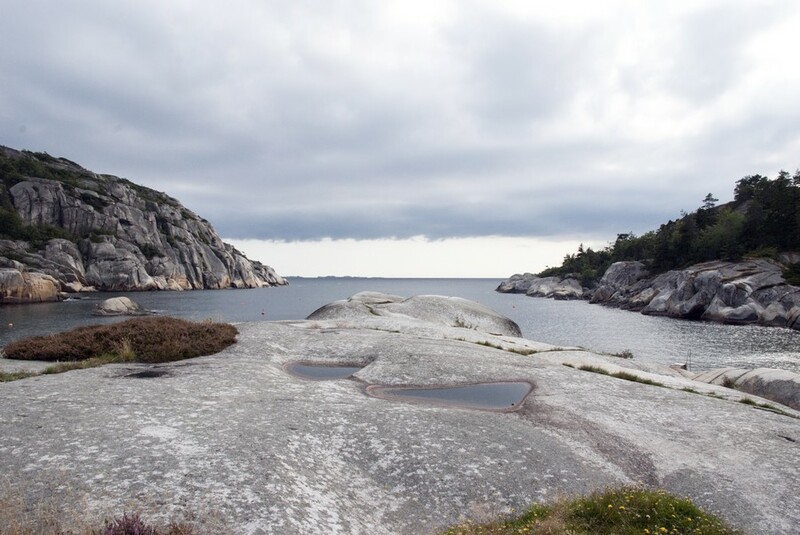 The surrounding woods and a characteristic hill of naked rocks define the site, just a short walk from the sea. This project was designed for a client who wanted a holiday home for the whole family, while it at the same time was divisible somehow. That way, they could spend their time together but also enjoy the intimacy that each of these parts separately provides. The solution was a cluster of three structures, which can be used individually. Each of the buildings is defined as a clarified geometric volume, organized around the outdoor area that binds them together as a whole. All of the three structures are southwest orientated and the middle unit has its gable end fully glazed, opening the building to its surroundings. In the other directions the buildings appear more closed, providing privacy from the neighbours and access roads. The cluster of structures is backed up against a steep and rocky hill creating an exciting spatial interaction between landscape and the three cabins. The rock mass also creates a beneficial microclimate in the outdoor area between each unit: during the day the sun hits the dark rocks and this heat is gradually released to the environment. Wood provides a homogeneous cladding for the three structures, both inside and outside. The pre-weathered pine heartwood provides a natural appearance and contrasts with the glazed opening emphasizing the difference between closing walls. 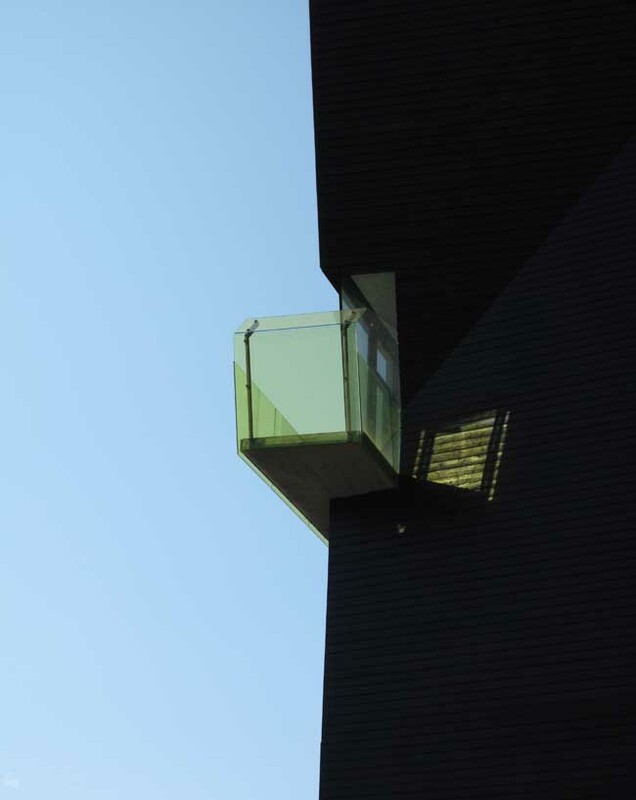 At the same time, the cladding blends in with the environment, keeping the essence and authenticity of the site.